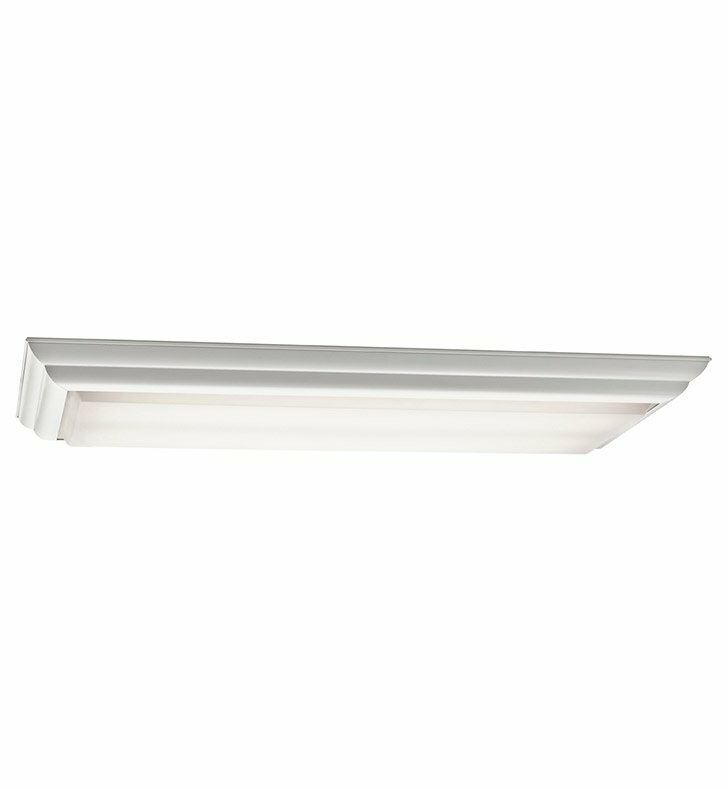 Questions about Kichler Lighting 10314WH? This 4 light, fluorescent, linear flush mounted fixture showcases elongated lines and clean angles. Featuring a bright White finish, this fixture will effortlessly blend with your existing decor. Dimensions: H 4" x W 20 1/2"